Nimble Streamer is a fantastic lightweight media server with its own live transcoder and WMSPanel web control UI. We are going to show how to configure Nimble and stream HLS with Peer5. The MPEG-DASH is set up the same way. Prior to following this article, please install Nimble Streamer on any supported OS. Open your config file (Usually located at /etc/nimble/nimble.conf). Restart the nimble service using this command: sudo service nimble restart. Copy the mp4 video file you want to stream to a path that will be accessible by the nimble user on your server, Lets say /var/www/video/. On the navigation panel: Nimble streamer -> Edit nimble routes. 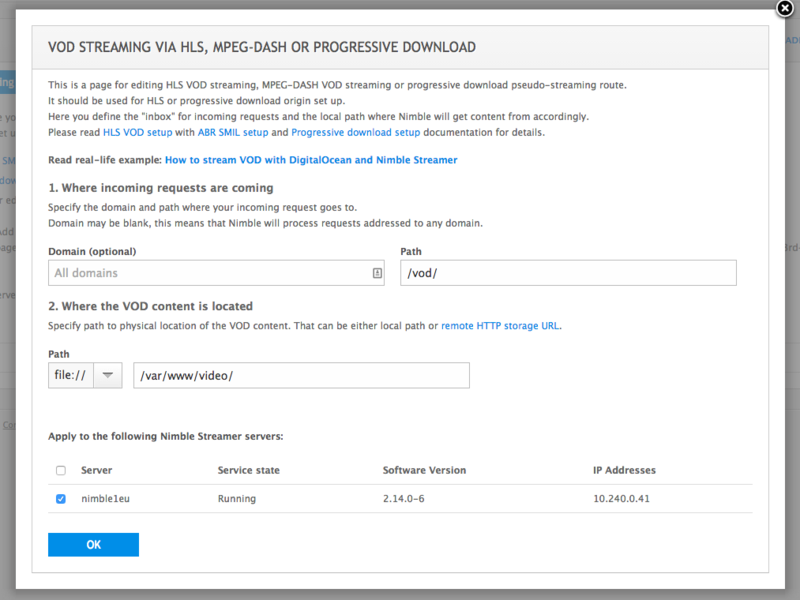 Select ADD VOD STREAMING ROUTE on the top right. Fill the form and press OK.
your route will be added to the table, select GET URL for player, copy the url and replace sample.mp4 with your video file name. You might also need to replace the IP address with your server’s external IP. 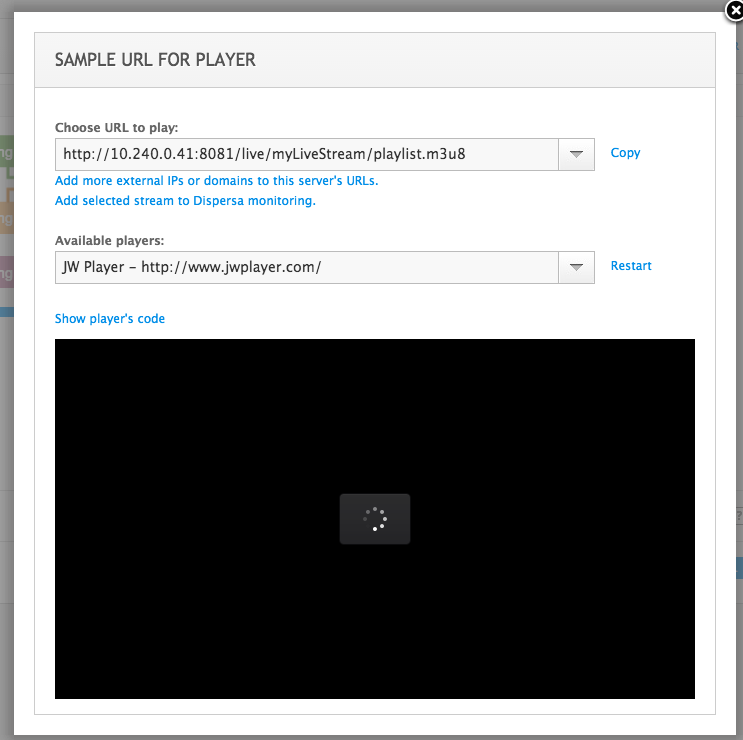 you can now play the url in your HLS player. 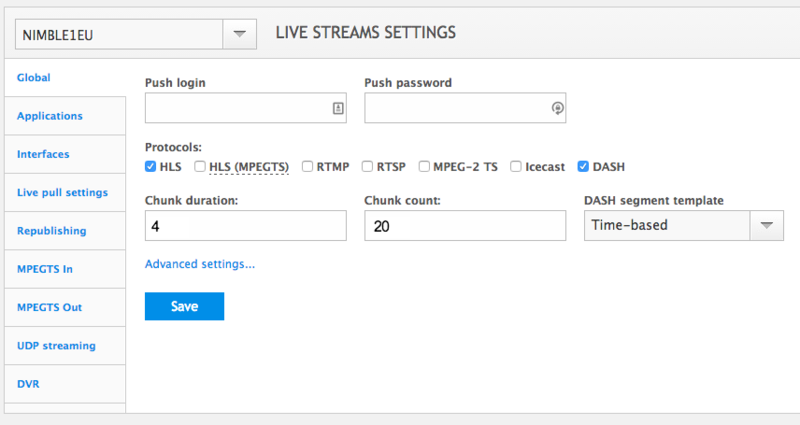 On the navigation panel: Nimble streamer -> Live streams settings. Under Global tab - Set chunk duration to 4 and Chunk count to 20. Then press Save. Select Live pull settings tab. 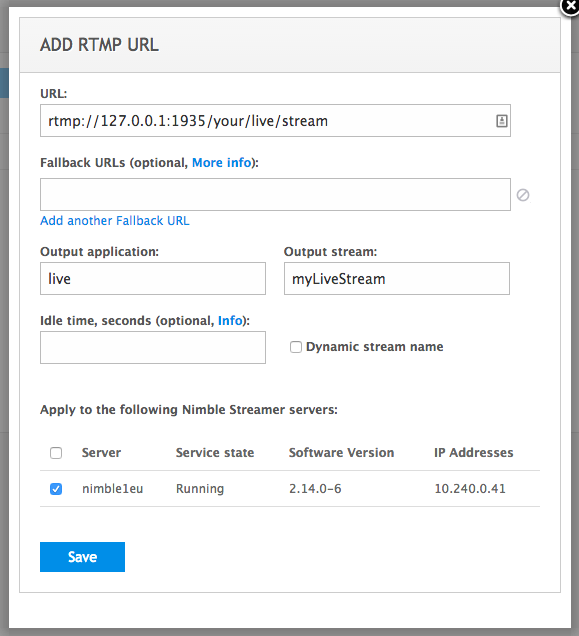 Fill your RTMP stream url, application name (i.e live) and name for your output stream. Then press Save. Go back to the top navigation bar and select Live streams. Choose your server from the list on the bottom. Click Outgoing stream (the pink part of the drawing), your stream should appear. Press the question mark on the right side of your stream’s line. You might need to replace the IP address with the external address of your server. Your HLS stream can now be played via this url.